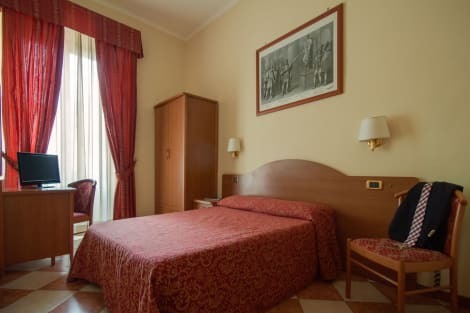 This comfortable hotel can be found in Termini Railway Station. 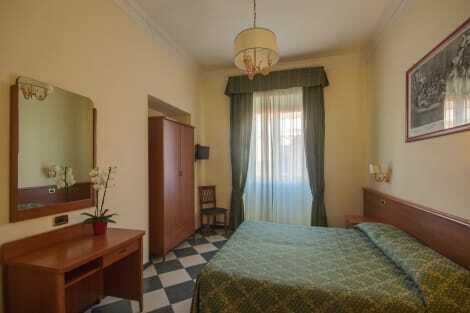 Visitors will enjoy a peaceful and calm stay at Cherubini as it counts with a total of 9 units. Wired and wireless internet connection are available. Visitors will appreciate the 24-hour reception. Furthermore, Cherubini offers cots on request for children. Pets are not allowed at Cherubini. Stay in one of 36 guestrooms featuring flat-screen televisions. Complimentary wireless Internet access keeps you connected, and digital programming is available for your entertainment. Bathrooms have showers and hair dryers. Conveniences include safes and desks, as well as phones with free local calls. Make yourself at home in one of the 24 air-conditioned rooms featuring LCD televisions. Complimentary wireless Internet access keeps you connected, and digital programming is available for your entertainment. Bathrooms have showers and hair dryers. Conveniences include phones and safes, and you can also request cribs/infant beds (complimentary).